The global water-soluble vitamin supplements market is projected to grow at a CAGR of 7.24% from 2016 to 2022, to reach a projected value of USD 4.39 billion by 2022. The mineral feed supplements market is projected to grow at a CAGR of 4.76% from 2016 to reach USD 7.20 billion by 2022. The market has been gaining importance due to the increase in the population of livestock, organized livestock farming, increasing economic activity awareness about reducing disease outbreaks, and changing climatic conditions. Factors such as government legislation on permissible limits have been limiting the possible options of feed sources to achieve optimum livestock weight and health and have been restraining the growth of the market. In the global market, the poultry and aquaculture segments are projected to be the fastest-growing segments from 2016 to 2022. The growing demand for vitamin & mineral feed supplements for these livestock segments has been attributed to the increase in demand for meat, milk, and eggs, particularly in the Asia-Pacific and Latin American regions. From 2016 to 2022, the markets in RoW are projected to grow at the highest CAGR for both, water-soluble vitamin feed supplement products and mineral feed supplement products. The region includes livestock-dependent Latin American countries, the Middle East, and Africa. The infrastructural development in the cattle meat and dairy industries in the Middle East is projected to increase the demand for innovative feed supplements such as organic mineral chelates. The water-soluble vitamin & mineral feed supplements market has been segmented on the basis of vitamin & mineral type, and livestock type which are further divided into their sub-segments. It has also been segmented on the basis of region into North America, Europe, Asia-Pacific, and the Rest of the World (RoW). 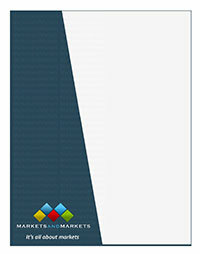 In terms of insights, this research report has focused on various levels of analyses industry analysis, company profiles of top players, which together comprise and discuss the basic views on the competitive landscape, emerging & high-growth segments of the water soluble vitamin and mineral feed supplements market, high-growth regions, countries, government initiatives, drivers, restraints, and opportunities. To gain wide ranging information about the top players in this industry, their product portfolios, and key strategies adopted by the players. To gain insights of the countries/regions in the water-soluble vitamin & mineral feed supplements market.